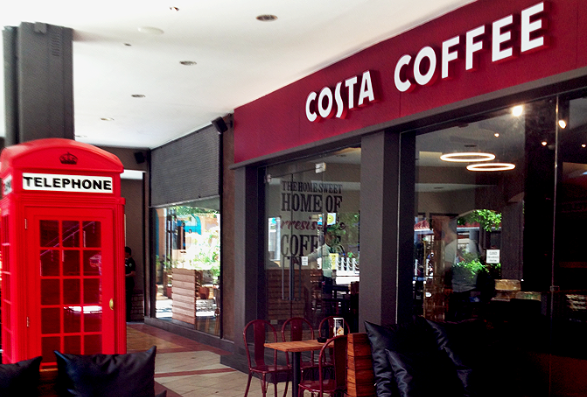 Costa Coffee brings in a bit of London flair and all the well-loved qualities of British coffee. Forget the Earl Grey and biscuits—Costa Coffee is out to show the world that Brits love their coffee, too. 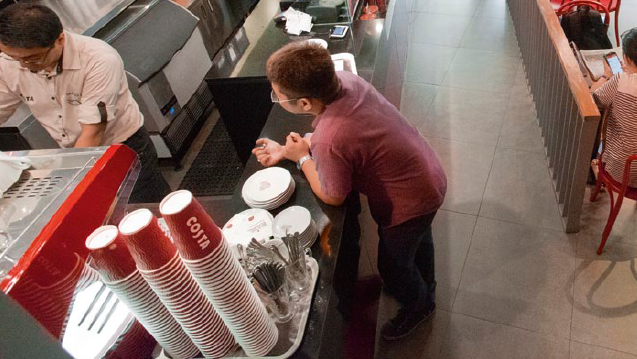 Dubbed as London’s “favorite coffee shop,” Costa Coffee is the largest coffee chain in the United Kingdom with 1,968 stores and has 1,247 stores in 30 overseas markets, including France, China, Singapore, and now, the Philippines. Robinsons Retail, which also brought in Japanese convenience store chain Ministop, is set to open 70 Costa Coffee branches in the Philippines over the next five years, with no plans to sub-franchise. 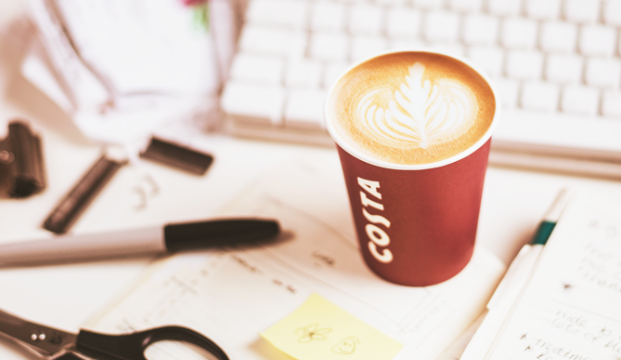 “We don’t aim to be the biggest coffee chain here; we want to be the most loved,” says Christopher Rogers, managing director of Costa Coffee International. “We kept it conservative since we also want to maintain the same level of quality across all of those branches,” adds Corinne Milagan, general manager of Costa Coffee Philippines. Armed with experience working for other coffee chains, Milagan knew of Filipinos’ relationship with coffee shops. “Filipinos don’t just go to coffee shops to drink coffee—they go there to meet with friends, and a good way to enjoy your coffee is with good food,” she observes, which is why she fought hard to introduce salads, sandwiches, and cakes in their menu—to deviate from Costa Coffee’s grab-and-go format in its home country. The aesthetics of the stores here are also designed to appeal to Instagram-savvy millennials—think red phone booths, Union Jacks, and wooden finishes to go with your #DOTD (drink of the day). Let’s not forget the coffee. “What’s really special about us is our coffee—we only have one blend, which is the Mocha Italia. It’s a combination of Robusta and Arabica, and it’s slow-roasted at low temperatures so it’s not bitter,” explains Milagan. Costa Coffee now has branches in Eastwood City (in Libis, Quezon City), Robinsons Place Ermita (in Manila), Bonifacio Global City (in Taguig City), and Terra Tower along C-5 Avenue, Quezon City. It is set to open in Robinsons Place Antipolo. “Next year, we’re set to open 10 to 12 more stores,” says Milagan.